This is our second tomato garden, and we’re going about it a little differently. We’re going to plant half of the garden to early spring vegetables in March. The other half will be planted to early season/cold tolerant or determinate tomatoes in late April/early May. Those tomatoes will grow through early August, when most of them will be done producing. After the early tomatoes are done, we’ll be replacing them with cauliflower and other fall vegetables. Hopefully the other tomatoes will produce at least through September. Posted on February 25, 2011, in Around the Garden and tagged Garden plan, garden planning, Tomatoes. Bookmark the permalink. 6 Comments. Expect a cool summer: after seeing how other people’s eggplants did last year in the 107-degree weather, I’m planting both regular and Asian ones this year. Mmm, eggplant. Eggplant parmesan. Baba ghannouj. Eggplant caponata. Baingan bharta. Melanzane a scapici. I’m confused…the post was about tomatoes. Why are you taunting me with nasty, nasty eggplants! Because tomatoes and eggplants go together so very, very well. Eggplant parmesan needs a lovely paste tomato to make the sauce. Baba ghannouj needs garnished with a nice coarsely-chopped slicer. And so on. They’re cousins and best friends, how can you like one and not the other? Ooh, I’ll be really interested to see how cauliflower does in Wichita (and broccoli too?). So much that I’ve read basically lead me to believe cauliflower is too finicky to grow in anything outside practically-perfect cool (but not too cool!) conditions. I tried broccoli in the spring a couple years ago, but barely got anything before it bolted. Good luck! 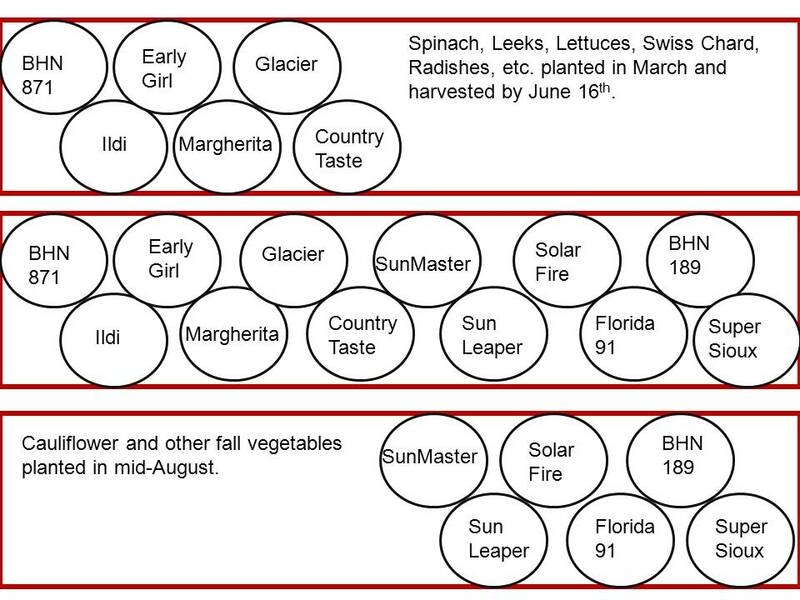 I think the key for spring broccoli and cauliflower is choosing a variety that is short days-to-maturity and also that is listed for spring/summer production. They should be more tolerant to heat.